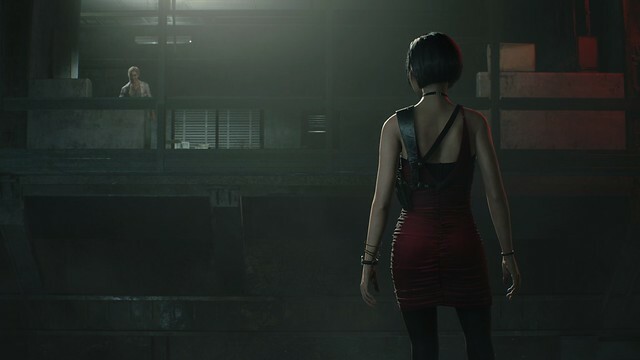 Leon, Claire, and Ada return with slick new visuals and gameplay in this promising remake of the survival-horror classic. After 20-odd games, Resident Evil is one of gaming’s most storied series… but all those offshoots, reinventions, and remakes make it hard to nail down what, exactly, gaming’s original survival-horror series stands for. 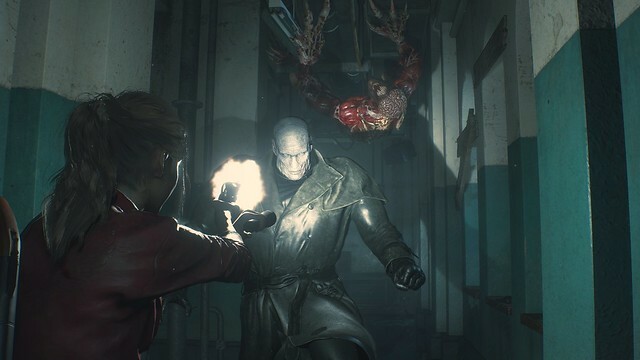 But I bring good news: following nearly three hours of hands-on gameplay, I predict that the PS4 Resident Evil 2 remake is going to make old-school Resident Evil fans very, very happy. On a purely visual scale, this PS4 incarnation or RE2 is a knockout. I played on the original PS4, and the game’s grimy, rain-slicked world glistens with atmospheric lighting effects that made me jump at shadows. 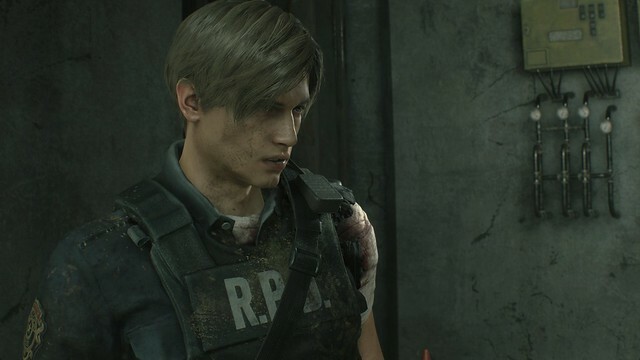 The characters all look hyper realistic, from the rain droplets pitter-pattering on Leon’s shoulders to the pores and small freckles etched on his face. The gore level is admirably gag-inducing, too. Slashing or shooting advancing zombies opens up gushing flesh wounds that would make George A. Romero blush. 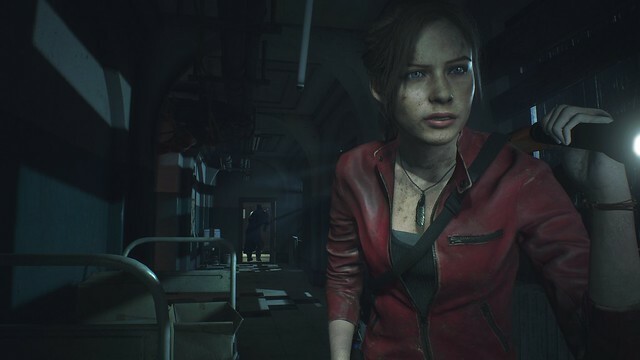 As in the 1998 original, Resident Evil 2 on PS4 offers two playable characters split across two separate playthroughs: rookie Raccoon City cop Leon Kennedy is just trying to survive, while Claire Redfield is searching for her missing brother. My play time was split across both Leon and Claire’s chapters. And it was was soon clear that this remake seeks to pay homage to the original RE2, not create a soulless monument. From what I played, Leon’s sequences veered closer to the white-knuckle action-horror of RE4. His triple-burst “Matilda” handgun, shotgun, and magnum pistol all provided ample stopping power, but ammo was tight and enemies were numerous. Meanwhile, my experience with Claire skewed closer to “traditional” RE2 gameplay, with a focus on non-linear exploration, puzzle solving, and inventory management. I fought off (or avoided) Lickers and zombies using Claire’s snubnosed 9mm revolver and grenade launcher, complete with acid and flame rounds. 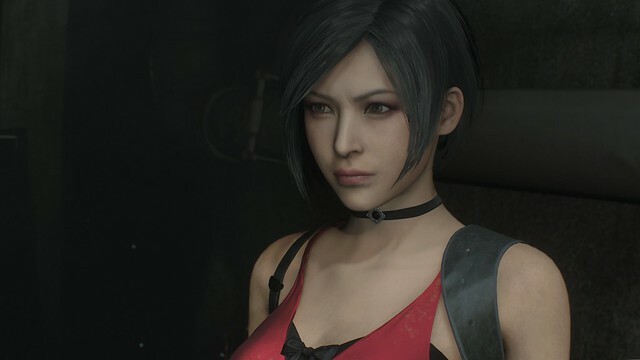 Then there’s Ada, who pops up as a third playable character during parts of Leon’s campaign. Her sequences seemed especially tense given that she packs only a snubnosed pistol and a handful of rounds, relying more on her wireless hacking device, which can peer through walls to breach security systems that reveal new routes. Ada’s new tech is not only cutting edge for the game’s 1998 setting, but also highlights her mysterious connections. Capcom clearly worked to deliver an intuitive control scheme here. The directional pad handles weapon selection, Triangle opens your inventory, and holding L1 activates your secondary weapon, whether it’s a knife slash or tossing a flash grenade (note: you can use these to escape the clutches of a zombie as in 2002’s Resident Evil remake). Though I did slightly reduce the analog stick sensitivity, I didn’t ever find myself fighting the controls – a testament to the strong UX work here. I noticed that series mainstays like healing herbs and typewriters made the jump; I didn’t see any ink ribbons, so saving at the iconic typewriters may be unlimited. And ala RE3 and RE7, I could craft more ammo by collecting and combining various gunpowder pickups scattered throughout the environments. So far, so good! I’m dying to play more of Resident Evil 2 when it officially launches on PS4 January 25, i.e. less than two months from now! Let me know any questions and I’ll work to answer in the comments below. I just can’t bring myself to pay $60 on what is, no matter how gorgeous it is, a remake. But once it drops by 33-50%, I will buy. Will there a co-op mode? It *has* to be better than the original, because the original (and RE1, and probably RE3) was awful. They were pretty great for people who were actually alive when they came out. They had their limitations, but they were pretty great at the time. This game looks and feels superb and it’ll probably be one of the best games of 2019. I wish Capcom my best and I’m sure it’s going to sell like crazy…but personally I’ll be waiting for the inevitable April-June price drop to buy it. No offense, Capcom, but next time put a little bit more effort into it and just make a new RE game if you wanna go with a $60 price tag. It’s not a remaster, it’s a re make from the ground up. I’m buying it because it’s the first Capcom game worth buying in years for me lol. Yeah, Capcom, put more effort into it next time. Try and go for EA’s record where I haven’t bought a single game off them this gen even once. More terrible new RE games with forced Co-op at full price please. @dvdran : that’s a technicality. Yeah, I know it isn’t a “remaster” but a “remake”…but the bottom line is the same: it’s basically THE SAME 1998 game…with a brand new fresh coat of paint. A super awesome coat of paint for sure…but it isn’t something “new”. They didn’t even had to build the engine, since they’re using the RE7 one. So…I’m sorry but that doesn’t deserve a full price tag IMHO. For 60 bucks I expect a BRAND NEW RE game. Nothing less. Remasters/Remakes should always cost less than a full priced new title IMO. I completely agree w/ you. In fact, let’s just get rid of the ESRB, PEGI, and CERO rating boards altogether. Obviously Sony believes it can do a much better job at “protecting the children” than any M, D/Z, or 16/18 Rating can do anyways. Who else can we depend on to save the kids? Their parent? Surely you jest. Nay, only Sony can properly keep the world a safe, and censored place. ANY chance of full PSVR support (like RE7)? I guess never say never. Hellblade: Senua’s Sacrifice is 3rd person and still has a VR mode. Noticed you said you played in the base model PS4. Can you tell us what the framerate was? Been curious since every vid I’ve seen shows the game running at 60fps. It was smooth, couldn’t tell you the exact number though. 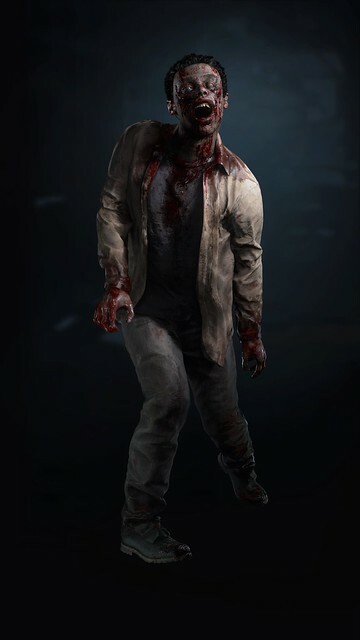 From videos online that ive seen of gameplay, the zombies heads seem to either be made of Teflon or bullet proof? Does it still take 5 headshots to put a zombie down? And do you know if anything is being done around it if not? As it seems they put this great precision aim system in but what’s the point when spraying bullets achieves the same outcome? 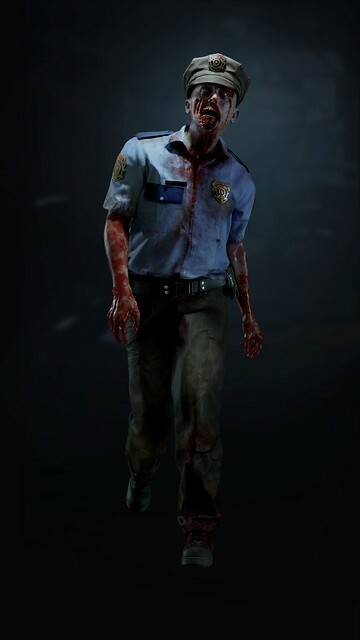 I’m still super excited as RE2 is in my top 3 games ever. I wanted to smash Ada in ‘98, and I want to smash her even more 20 years later. Well done, 10 out of 10. Capcom: give us demo please. 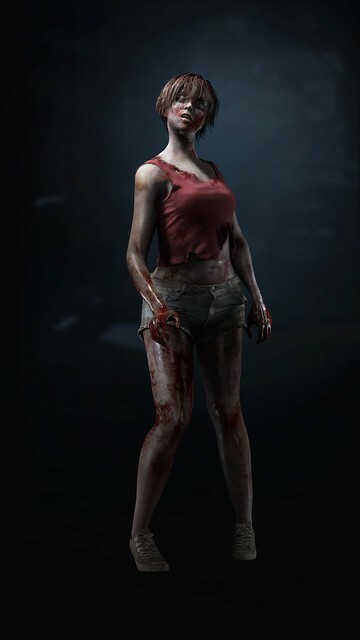 I’m a huge Resident Evil fan which is why I was a little disappointed in the direction the series was heading after 4 but now I feel like Capcom finally gets it. Can’t wait to get my hands on this game. You are NOT a “huge fan”. “Huge fans” support anything they’re “huge fans” of ’till the end of days, no matter what. There’s no “I’m a huge 49ers fan but I was disappointed when you guys didn’t fired Kaepernick. Now that no one is giving him a contract I feel the NFL finally gets it”. A true “huge fan” lends his/her support without limitations because “the team” is beyond ANYTHING else. So saying “I’m a huge fan…but I didn’t liked your last games” makes you anything BUT a “huge fan”. Plus RE5 & RE6 were very good games IMO. Were they perfect? Ofc not. But they didn’t deserved all the hate they got only because so-called “huge fans” like yourself didn’t liked some changes. If you’re actually a “huge fan” you cannot pick & choose the things you support based on what you like. You have to support the franchise no matter what. 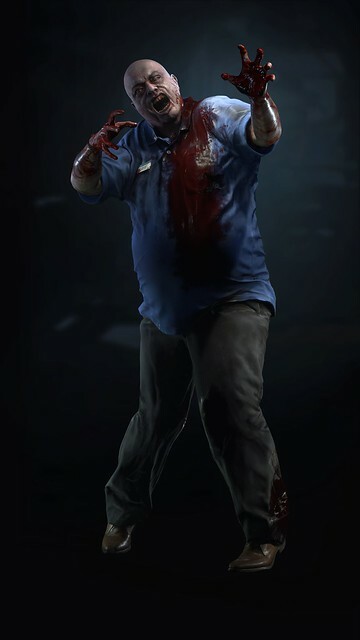 Pretty excited to play Resident Evil 2 myself. Though I’m more likely to get it on Steam than I am on PlayStation 4 due to my PC’s performance. Do you know if they have plans for a RE2 PS4 pro edition with a RE2 skin and the game included?? I highly doubt it. Sony usually does that with exclusives and/or very high profile titles. This remake is going to be pretty succesful…but probably not enough to warrant a PS4 limited edition. Do not call the Lords name in vain. PlayStation customer service is awful. They charged my account for a subscription I had already cancelled, and now they will not refund me. I will be posting this every day for the next 365 days until my cancelled subscription is up!!!!! Orpheus, that might be the most ridiculous rant I’ve ever read. There’s no rule about fans of a series being unable to have an adverse opinion. In fact, I would argue that huge fans are the exact people that can have a credible negative opinion about something. They know the inside and out of a product they enjoy. So they’re the first ones to notice if something strays from the path of what a certain production may be all about. Fans sharing their opinions has nearly always been a positive outcome for products as we know it. Look at Fallout 76. If everyone blindly supported Bethesda and said “IM A HUGE FAN AND THIS GAME IS PERFECT K THX” do you think they’d still have the urgency and accountability to work on fixing it? Of course not. They could get away with anything. Companies value knowing what their fans want. If they alienate that, they want to know it too. It helps steer the ship. Blindly following companies with unconditional support and praise just because you love their products is the exact opposite of what consumers should do. Your rant was nonsense and the original commenter is fully in his right to identify as a huge fan yet provide criticism.